Throughout the month of February we will be turning the spotlight on to our Subscribers! 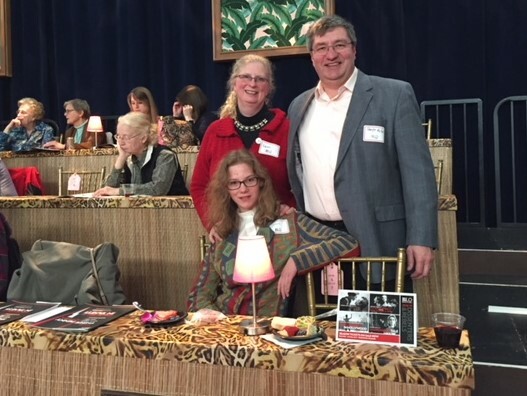 Meet some of our biggest fans, learn about their experience with BLO, and discover why they love opera. Hard to believe, but it’s almost 10 years! Our first full subscription season was 2009-2010. Anticipation of surprise. Thrill of being immersed in great music, singing, and visual scenery for the next two hours. Memories of past great performances that last for weeks, sometimes years. There have been so many… Rusalka, the first opera we saw at BLO almost 10 years ago (not as subscribers yet) was one of the most memorable. The Lighthouse was wonderful. Most of classical opera performances were great, too. How long have you been a subscriber? What’s your favorite part about being a subscriber with Boston Lyric Opera? BLO consistently programs a quality balance of timeless and new works in a range of venues that makes every season an adventure. Being a subscriber makes it easy for us to enjoy the ride! Fundamentally, we subscribe because every BLO production is well sung, well directed, and beautiful to behold. BLO is bold and creative. Also, we achieve better seats while getting the flexibility we need, and we enjoy the events open to subscribers. Why do you love opera? Opera is the whole package: music, story, and theater. All work together to serve up the world of the performance, wholly engaging us for a brief moment in time. Opera makes you suspend belief from the start, because people are singing! audiences of all ages and contexts to get a glimpse of our shared humanity: it's art that satisfies. What is your favorite past production from BLO? #1: Tosca, Fall 2017 (title role memorably sung by the superb soprano and performer, Elena Stikhina - we'll never forget this one). I was a subscriber before I was married, attending with a friend, Zoe Dubois, for several years, sometime after graduate school. I am not sure exactly how long but I am going to guess about 20 years or so. 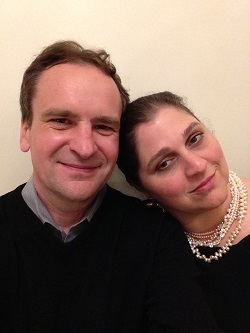 I introduced Vaughn – my husband – to opera while we were dating. His first opera was Salome. My father was appalled and said that it was NOT a good first opera but Vaughn survived it. I was kinder to my daughter. Her first experience was “Hansel and Gretel” and “The Elixer of Love”. Her first BLO production was the 2016/17 season. I like being able to change tickets when I need to and when the BLO was at the old theater, we had the seats with lots of leg room. My father came from a family of opera lovers in NYC including an aunt who wrote a book about Wagner. So I of course, could not stand opera growing up. However, I fell in love with it in high school (though that was a closely guarded secret until I was much older). I worked as a dancer in several opera productions including Hansel and Gretel, Carmen and La Traviata. 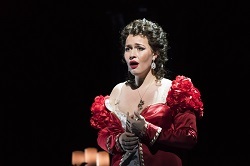 I fell in love with La Traviata. I got the opportunity to study voice while in graduate school and would sneak away from lab to take voice lessons. This challenge has given me a much deeper appreciation of the art. Not sure how to choose. From the Annex -my attendance is spotty- but I really liked “In the Penal colony” and “Lizzie Bordon”. From the regular season, I really enjoyed “The Inspector”, “The Merry Widow” along with the block busters of course, and from a long time ago- “Eugene Onegin”. We’d love to hear from you too! Why do you love opera? Email Madison Florence at mflorence@blo.org and tell us how long have you've been subscribing, your favorite part of being a subscriber, why you love opera, and your favorite BLO production. Include a selfie with your response, and you just might see yourself in our next subscription brochure.